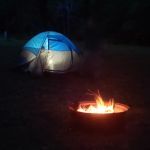 Ask fellow campers about "Old Bluegrass Campground (formerly Missouri Festival and RV Park)" and nearby attractions. We spent a month at the campground. New owners are working hard to improve the property. Pros: Very friendly and helpful, music park on site, restaurant on site, electric, water and sewer all included in our monthly charge. Also free Wi-Fi Lots of grass, shade trees, and a fire pit at the site. We use AT&T and had good reception here. Cons: No laundry onsite but they do have bathrooms and showers. We didn't use them so can't comment on them. Closest laundry is in Dixon which is 7 miles away. Sites aren't totally level and are on grass. Closest Walmart is in Saint Roberts which is about 20 miles. We camped at Old Bluegrass Campground (formerly Missouri Festival and RV Park) in a Fifth Wheel. Park has new owners and they are making a lot of changes and upgrades. Nice folks and a nice area. Will stay there again if we are in the area. Lots of trees, they have a cafe with good food that is open for dinners, they have a stage for when they have Blue Festivals, and an airsoft course. Saw several deer and heard turkeys close by. 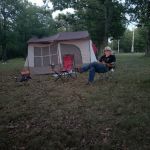 We camped at Old Bluegrass Campground (formerly Missouri Festival and RV Park) in a Motorhome. This is an old park rejuvinated by new owners. They have music entertainment just about every Friday in the on site Grille. Friday special in Grille is Fried Catfish. It was good. Would stay here again. Park will be closed Nov - Feb opening for St Pats Day. A unique on site offering is a sophisticated AirSoft game played in the woods over 3 acres. Lots of fun! 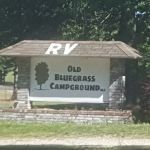 We camped at Old Bluegrass Campground (formerly Missouri Festival and RV Park) in a Motorhome. Are you affiliated with Old Bluegrass Campground (formerly Missouri Festival and RV Park) ?